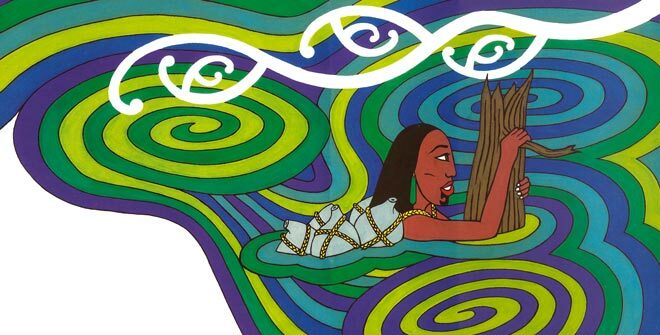 Hinemoa clings to a stump known as Hinewhata during her legendary swim to Mokoia Island to meet her beloved, Tūtānekai. This stump was placed in Lake Rotorua as a symbol of the mana (authority) held by her father Umukaria over the area. Reference: Peter Gossage, Hinemoa and Tutanekai. Auckland, Raupo Publishing, 2002.